BAE Systems Australia has officially confirmed a new managing director for ASC Shipbuilding as progress on the $35 billion Hunter Class future frigate program surges ahead. Defence Connect can confirm that BAE Systems Australia has appointed Craig Lockhart to the position of managing director of ASC Shipbuilding. 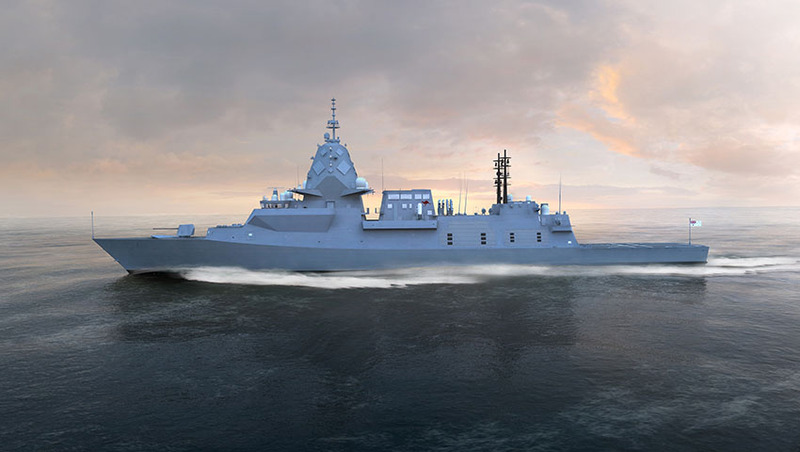 As a subsidiary of BAE Systems, ASC Shipbuilding is responsible for the delivery of the Hunter Class Frigate Program that will design and build the new frigates for the Royal Australian Navy and contribute towards a sovereign naval shipbuilding capability for the nation. Lockhart will commence in the role on 3 June 2019 and report to BAE Systems chief executive Gabby Costigan. He comes to the company with extensive defence experience spanning three decades, most recently as the managing director of naval marine for Babcock in the UK. Costigan said, "Craig brings a hands-on, detailed understanding of the Australian and UK defence industries and business networks. Coupled with his leadership capabilities and proven track record in leading large scale, diverse defence businesses, Craig is ideally suited to significantly grow and lead the team that will deliver the Hunter Class Frigate Program. I am truly delighted to announce Craig’s appointment, and welcome him back to Australia." Lockhart will take over from Nigel Stewart, who successfully led the SEA 5000 campaign that saw the company selected to deliver the $35 billion program for the nine anti-submarine frigates for RAN. "Having held leadership positions within the surface ship, submarine and conventional and nuclear power sectors across a long and expansive career, Craig’s depth of experience in the defence industry is exceptional," Costigan added. Lockhart said, "Leading the team to deliver a program that will significantly contribute to the transformation of the nation’s sovereign shipbuilding capability is an absolute honour. The Hunter Class Frigate Program will have a lasting positive impact on generations to come and I am excited to return to Australia for this opportunity." On 29 June 2018, the Australian government announced that BAE Systems was selected as the preferred tenderer to deliver nine frigates to RAN and that BAE Systems would acquire ASC Shipbuilding. Costigan thanked Stewart for his role in securing the Hunter Class program, saying, "I would like to thank Nigel for his outstanding contribution to the program and for providing strong leadership of the team over the last three years. With the signing of the Hunter Class Frigate Program head contract and acquisition of ASC Shipbuilding completed, Nigel will return to our UK maritime business, following a handover to Craig." On 14 December 2018, ASC Shipbuilding was awarded the head contract by the Australian government, providing the framework for the design and build of the Hunter Class frigates. Through BAE Systems, the ASC Shipbuilding workforce is now responsible for delivering the Hobart Class Air Warfare Destroyer program, the Arafura Class Offshore Patrol Vessel program and the Hunter program. Prototyping on the Hunter program is expected to start in 2020, and construction on the first ship work will begin within 24 months of prototyping commencing. The Hunter program alone is expected to create and sustain more than 5,000 jobs across BAE Systems and the wider Australian defence supply chain over the life of the program. In 2028, at the peak of the build, modelling predicts the program will contribute just under $1 billion in GDP to the Australian economy.